Images taken from the Loot Crate Email. I finally have time to post Loot Crate unboxings! It has been about two months since my last unboxing and I’m happy to get back into it. Sadly, I’m just catching up on the Walking Dead so I don’t get this reference yet. I wish it was just the name and not the guy with the bat. I’m guessing you need that picture for context. I’ll still wear the shirt. 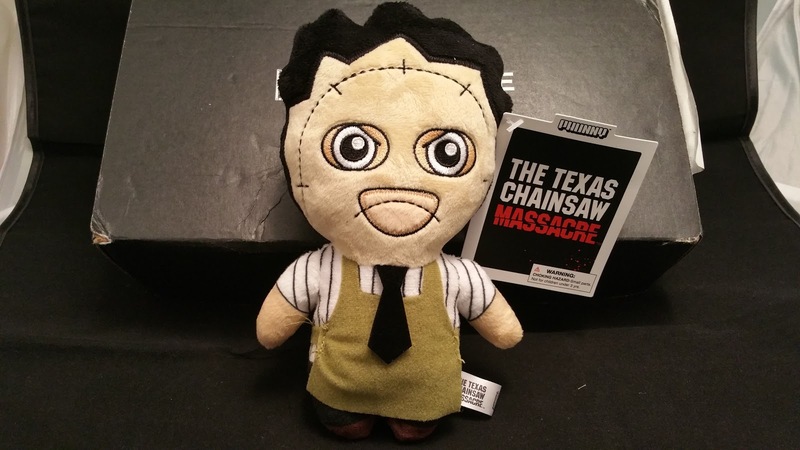 A Leatherface plushie! It’s the cute horror line from Kid Robot. They also made the face sucker from Aliens that was in a previous crate. 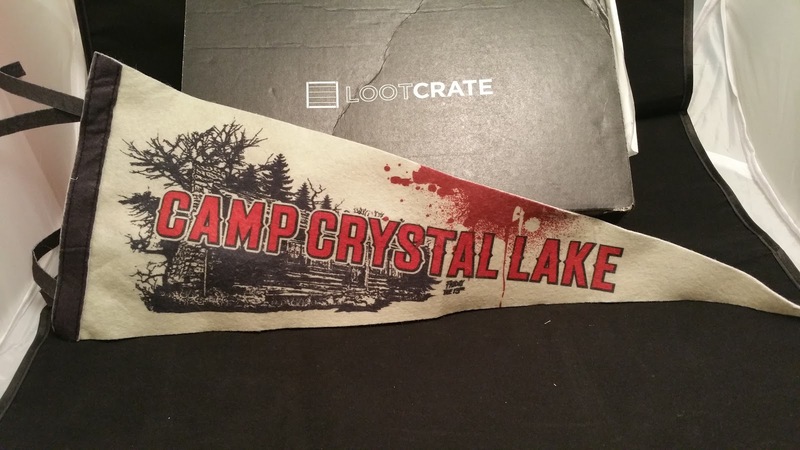 Camp Crystal Lake is from the Friday the 13th series. It is the home of Jason Vorhees. This pennant is really cool and I need to find a way to hang it in the “closet”. 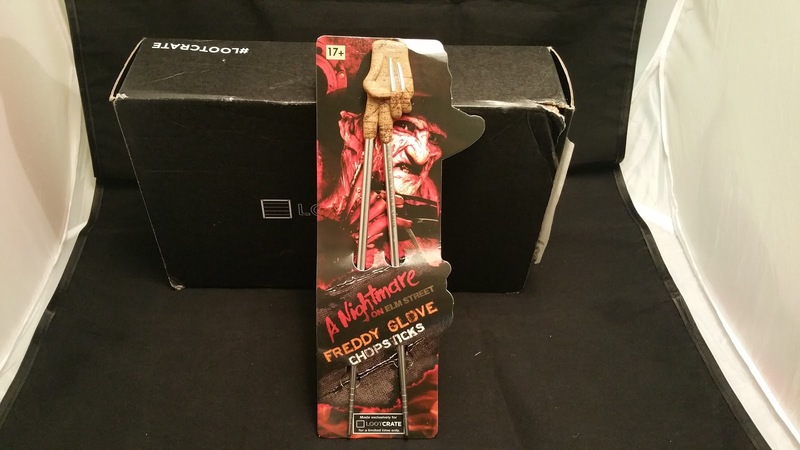 Next up is a kitchen item from A Nightmare on Elm Street. This is a cool item but it is impractical. I can’t use the chopsitcks with the rubber glove attached. I will have to take it off to use it. The last item in the box is a hardcover book by Jon Morris. 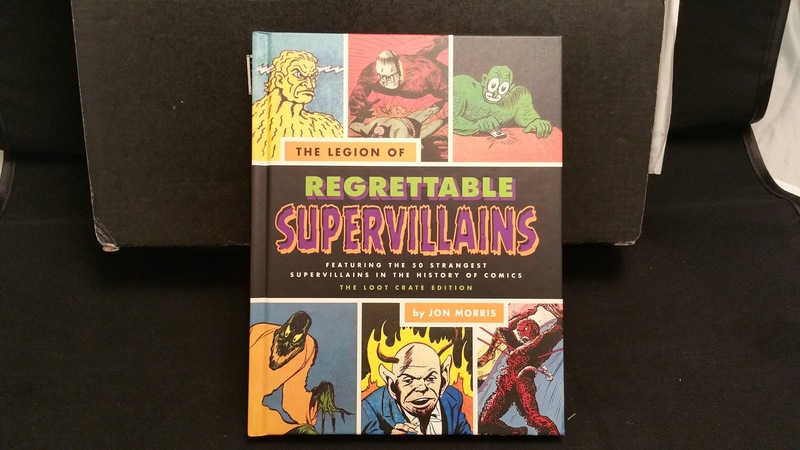 We received a similar book in Heroes 2 crate from last year. This should be an interesting read. 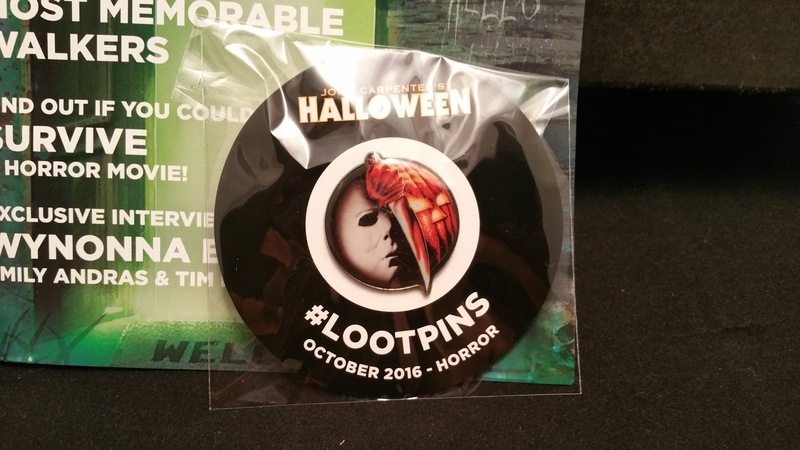 This month’s pin is from John Carpenter’s Halloween. The extra item from the pin website is for a steam game called “Superfight”. Loot Crate included a physical deck in a crate last year. I’m sure the digital version is a full game. If you would like the code for the game, leave a comment at the bottom. I’ll give it to the first person that comments. This month wasn’t too bad. My favorite items were the Leatherface plushie, Freddy chopsticks and the hardcover book. 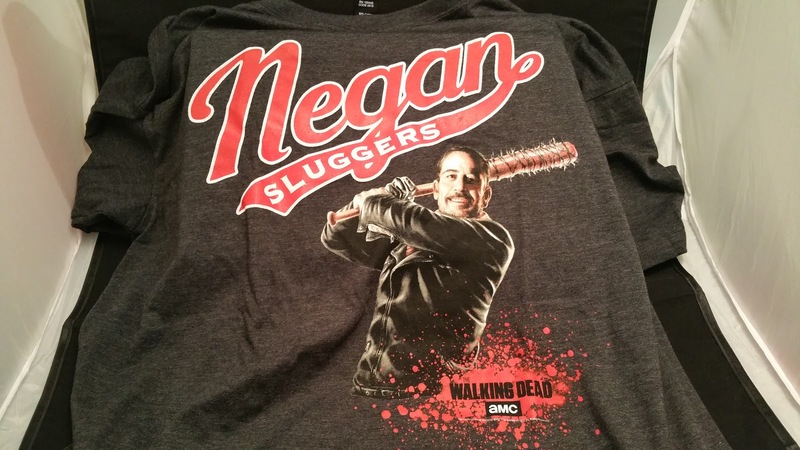 I’m sure I will grow to like the shirt when I get caught up with the show. 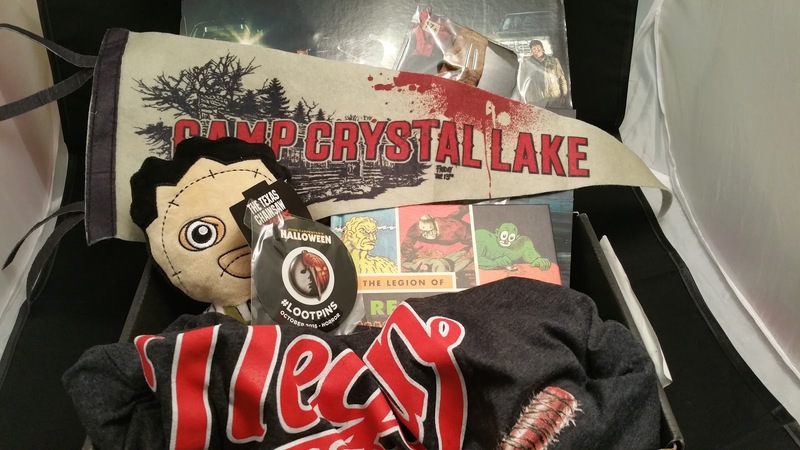 I’m happy to see Loot Crate thinking outside the box on some of the items. Hopefully next month’s items will be just as good. If you want to sign up use this LINK, also use the promo code BOX5 to save $5 off your first subscription. If that code doesn’t work you can use SAVE3 for $3 off any subscription. I also get credit towards more Loot Crates if you use the link.